Happy Shakespeare Day! Today honors the birth and death days of William Shakespeare. Don’t you remember just loving reading Shakespeare in high school? Of course you don’t, because you were either indifferent or you hated it. I remember simply hating Shakespeare in school but enjoying some of the movies based on his works. That’s how they get you, isn’t it? Here are five movies that are based on Shakespearean plays. Romeo and Juliet is THE Shakespearean play. Literally everyone knows about it. What better way to retell a classic than with zombies? Warm Bodies shows that Shakespeare’s writings can be enjoyed in any way you rework them. Honestly, how many film adaptations of Romeo and Juliet have been produced? How they are received is another story but, every movie has at least one fan. Were The World Mine is a musical inspired by Shakespeare’s Midsummer Night’s Dream. This film takes a completely modern spin on the play. One main difference is the young couple is not straight, which is something that most likely would not have been showcased back in 1595 when the original was written. I remember reading Macbeth in high school. Everyone I know can remember reading it. And, shockingly, I can recall most people liking it. 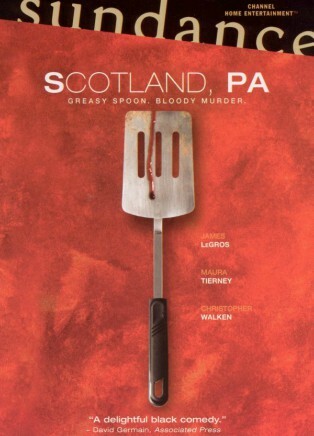 Scotland, PA is an homage to the play… just written almost 500 years later. This version did not, however, have as much success as the original. What could be missing? This romcom takes Taming Of The Shrew and throws it into a high school setting. If you were a teen in the 90s, you were stoked about seeing this movie. Despite the controversial themes ever-present in the original, this end of the century teen flick received mostly positive reactions while in office. This Disney film seemingly just about a lion cub and his wacky friends in the African savanna, is actually a pretty accurate depiction of the story of Prince Hamlet. The Lion King includes catchy music and entertaining montages which make this adaptation entertaining, even for children. You were a Shakespeare fan before you even knew who the guy was. Whether you like Shakespeare or not, what these adaptations demonstrate is that his writings with obscure language can be accessible to any and everyone, regardless of the time period. There’s a Shakespearean story for everybody.